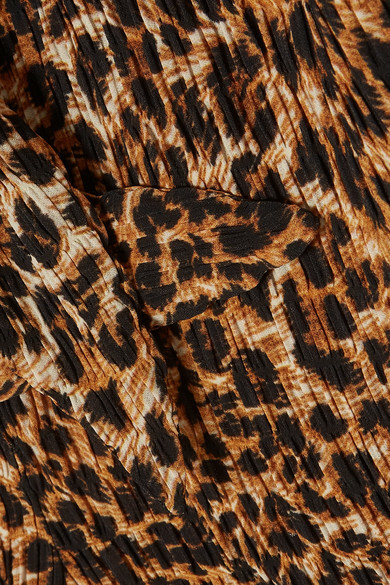 Nanushka's 'Primrose' shorts are made from unique leopard-print stretch plissé-jersey and will look amazing paired with a bikini top if you're jetting off for some winter sun. The on-trend paperbag waist is so flattering and draws attention to the smallest part of your frame. Tie the belt in a knot for extra definition. Shown here with: Matteau Shirt, BY FAR Tote, Neous Mules, Alighieri Bracelet, Alighieri Necklace, Monica Vinader Chain, Leigh Miller Earrings.